Graduate in law (1955). Professional journalist. Founder, Secretary-General and Chairman of the Radical Party and the Lista Pannella. Co-founder of the Transnational Radical Party. Former Chairman of the XIII district of the municipality of Rome (Ostia). Former member of the municipal councils of Trieste, Catania, Naples, Teramo, Rome and Aquila. Former member of the Lazio and Abruzzo regional councils. 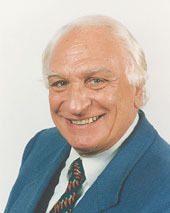 Member of the Italian Chamber of Deputies (1976-1992). Member of the European Parliament (1979-1996 and since 1999). Honours: 'KKL Forest' in Israel (Negev area). Honorary Chairman of the 'Young Slovenes'.